Who doesn't love a big, cosy mug of hot chocolate?! Come rain or shine, I'm always up for a warm, rich, milky drink. Since going relatively dairy free however, I do have to avoid making so many hot chocolates as almond milk isn't particularly cheap, and a litre carton disappears very quickly. Instant hot chocolate has never really been an option for me, as so often it's packed full of sugar, dried milk and all sorts of other nonsense ingredients your body doesn't need. However, over the past year or so I've had this idea in my head for a Vegan/dairy free instant hot chocolate but have never got around to making it until now. The Coconut Company are basically every health bloggers dream, what with coconut based products being the products do jour. From coconut oil to coconut vinegar (me neither! ), they produce just about everything under the sun, with everything being completely vegan friendly. The one product that really excited me was their Coconut Milk Powder* which is produced from freshly squeezed coconut milk - amazing! So, with my original healthier instant hot chocolate recipe in mind, and a pouch of the coconut milk powder at the ready, my dream for a dairy free instant hot chocolate came to life. What's even better is that it's a super indulgent hot chocolate! If you're going to treat yourself, it might as well be worth it...! 1. Whisk together the cacao, coconut milk powder, coconut sugar and dark chocolate shavings in a mug, getting rid of as many lumps as possible. 2. Pour over the hot water and stir everything together thoroughly. Enjoy! Kilner jar as a gift? For an even more indulgent hot chocolate, you could top with whipped coconut cream if you'd like. Have you ever tried coconut milk powder? 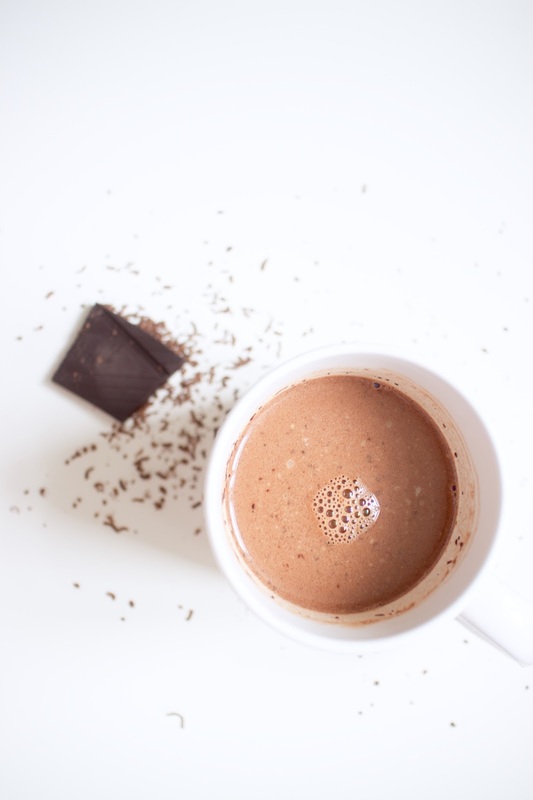 What's your go to healthy hot chocolate recipe?